Dan Quinn is an event entertainment expert, multi-instrumental live looping musician, singer, DJ, and Master of Ceremonies (MC) who specializes in private events such as weddings, corporate events, fundraisers, festivals, school events, and private parties. Guitarist. Singer. Live Looping Master. One Man Band. MC. DJ. Party Starter. Limit Pusher. Pretty fun guy to hang out with. Totally responsible suburban dad. Known by friends and fans alike as "DQ" or even "DQB", Dan Quinn has received rave reviews for both his live shows and DJ performances, treating each and every party as if it was his own. Whether a live acoustic set of familiar pop songs for a backyard birthday party, a wild, multi-instrumental display of musicianship at a corporate event, a minimal or deep house DJ set for a swanky cocktail party, or an "all hands in the air" dance party at a prom or wedding reception, nothing makes Dan more excited than pumping energy into a room through great music. As a full time professional musician based in the Dallas/Fort Worth area, Dan performs at over 100 events per year, specifically at private events such as weddings, corporate events, fundraisers, and house parties. Having mastered the art of his live "one man band" and mixing beats across all tempos and genres as a DJ, Dan takes the time to know his clients and their needs before every event, working to create moments that will last as memories for years to come. Over the past 15 years, Dan has performed on stages of all sizes- small intimate house parties, weddings and fundraisers with hundreds of people on hand, and large corporate events at AT&T Stadium, the American Airlines Center, The House of Blues, and Gilley's in Dallas. He has traveled for events across the country, and has even taken the stage (twice) at the Hard Rock Cafe in Bogota, Colombia. Are you planning an event?  CONTACT DQB to discuss making your party a great one that your guests will always remember!